Notions > Stands & Holders > 4447, Ackfeld Double Star Single holder. 4447, Ackfeld Double Star Single holder. 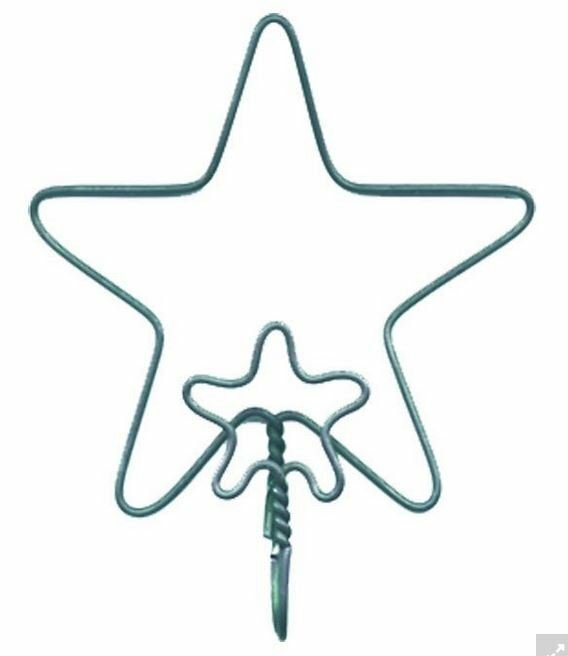 Use this little star/star hook to hang your Christmas ornaments from. This piece is seen in Designer Books as an adornment for Quilted ornaments. Made in the USA. Use multiple hangers with a dowel rod to support a larger project.